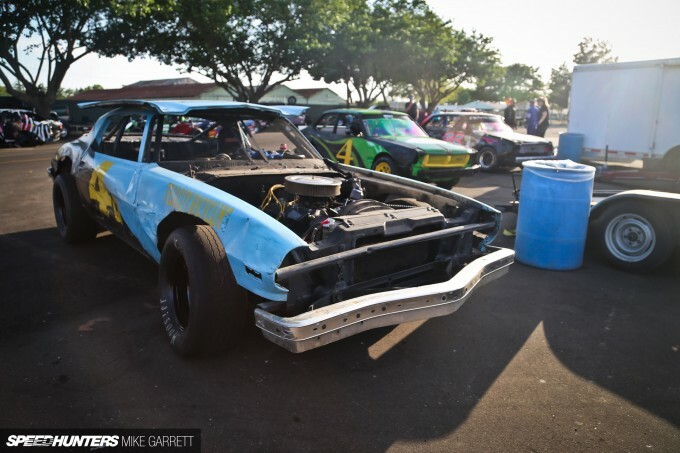 Last month, when I wrote about my experiences at the NHRDA all-diesel drag event at Famoso Raceway, I talked about how rewarding it can be to step outside your comfort zone and experience a new side of car culture. 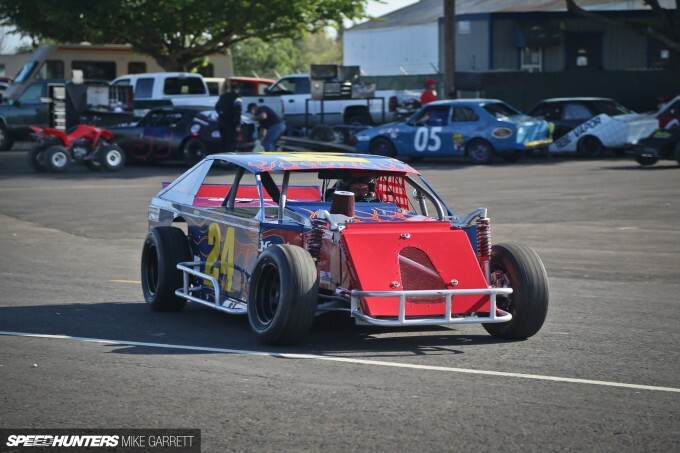 Well, over this past weekend I again found myself venturing into uncharted Speedhunting territory when I headed to Madera Speedway in Central Valley for some good old fashioned Saturday night short track racing. Before I go any further, let me say that I absolutely loved it. I may even be hooked. 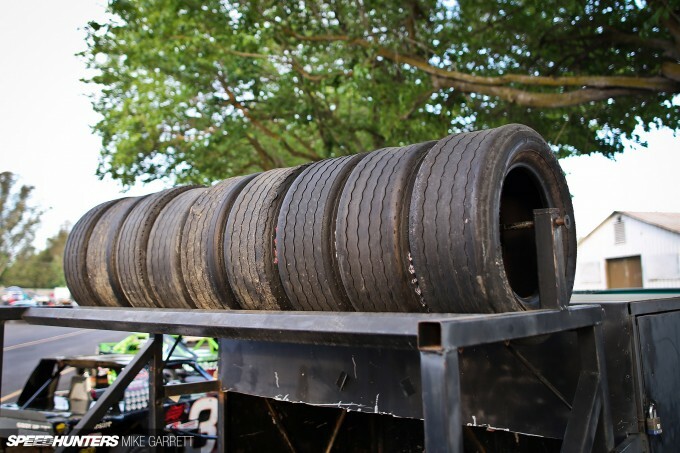 While all-diesel drag events are a relatively new phenomenon, Saturday night short track racing most certainly is not. 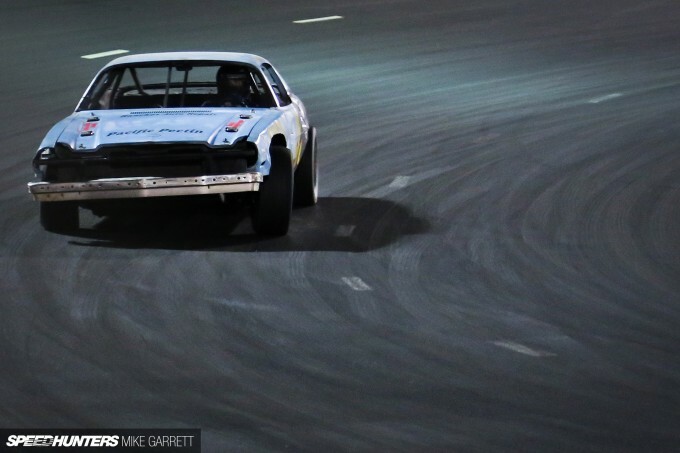 It’s been happening across the USA since forever, and it can be considered a crucial part of American motorsports culture. 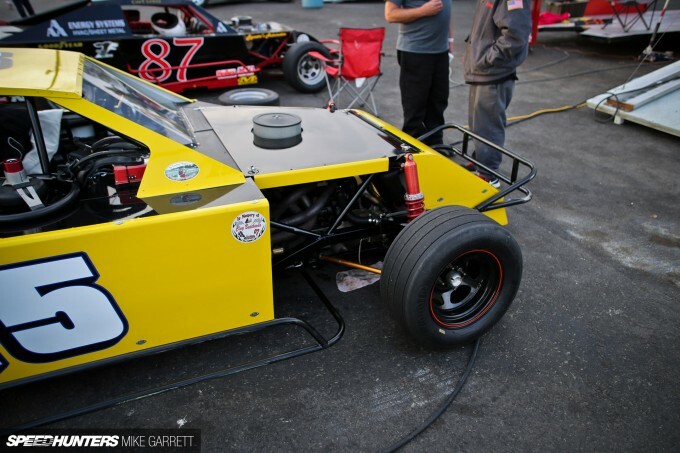 Within moments of arriving at Madera Speedway on Saturday evening, I wondered to myself why I hadn’t done so sooner. This was going to be a fun and fascinating bit of Speedhunting. 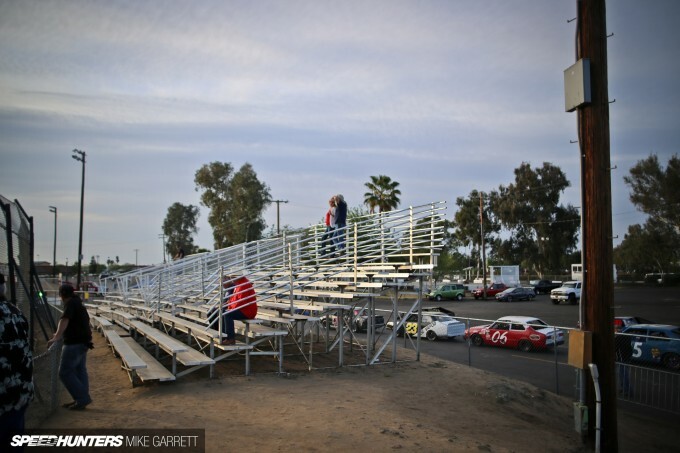 Madera Speedway originally opened in 1972, and since then its 1/3 mile paved racing surface has been the site of some of the West Coast’s best grassroots circle track racing. In fact, much of its action is unique to the Central California region. 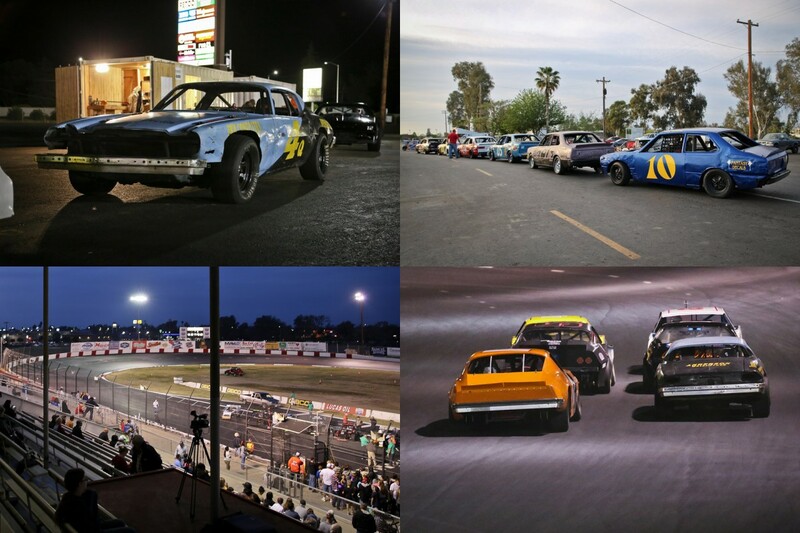 On most Saturday nights between March and November, you’ll hear the sound of race cars at Madera. 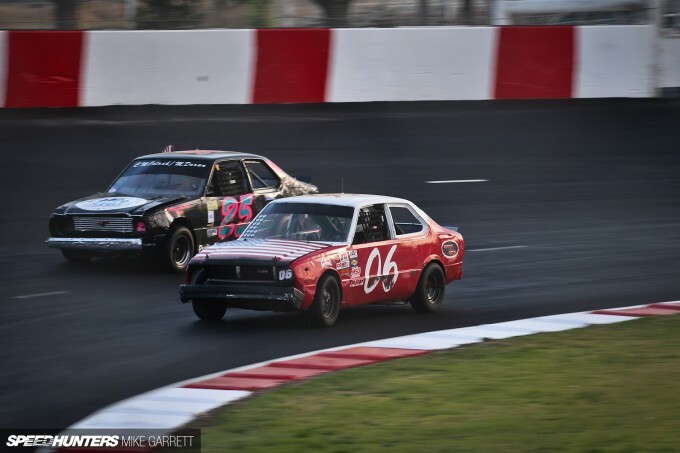 The event that I attended last weekend was one of the track’s regular meetings with several different race classes set to battle on the pleasant spring evening. After receiving my wrist band and heading into the pits, it became obvious that racing at Madera is a very grassroots affair. There were no massive transporters or luxury RVs to be found, only pickup trucks and simple trailers. In this level of non-professional racing, driver and mechanic are often one in the same, with the crew usually made up of friends and family members. In fact, the whole event from the pit stalls to the grandstands had a very family-like atmosphere to it. 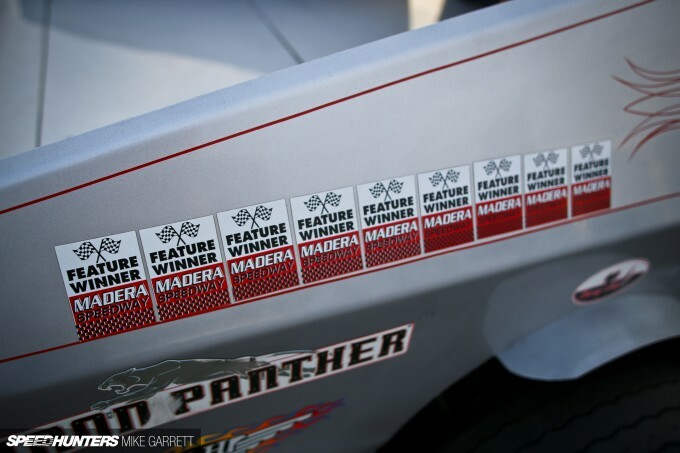 While the Madera Speedway regulars were most interested in who was going to win the evening’s race events, being a newcomer I was particularly interested in checking out the race machines themselves. On this particular night there were five different race classes competing in their own separate events. 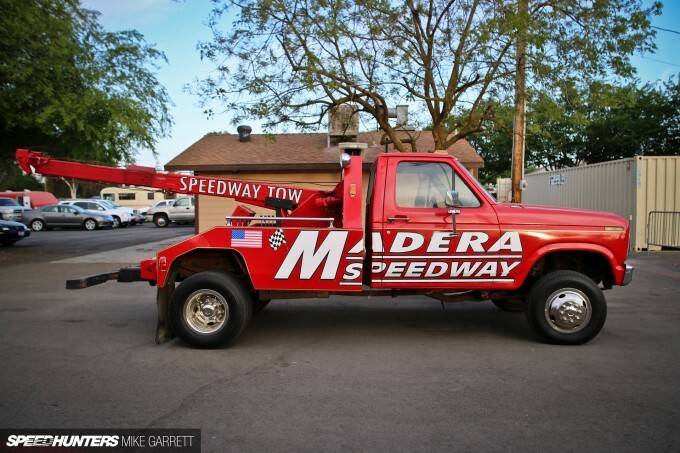 Representing the traditional word of stock car racing, there was the Madera Late Model class along with one of my favorites, The Madera Hobby Stocks. These are low-budget machines often built out of classic platforms, and they run a lot more factory parts than you might expect. 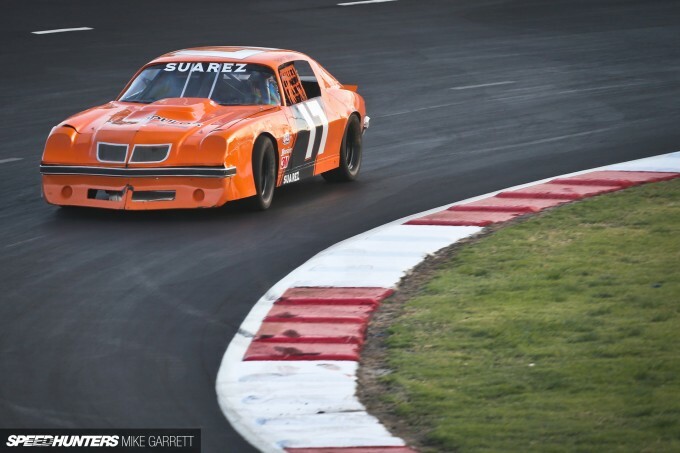 Simple and affordable, it’s cars like these that hark back to the days when the ‘stock’ in stock car racing actually meant something. 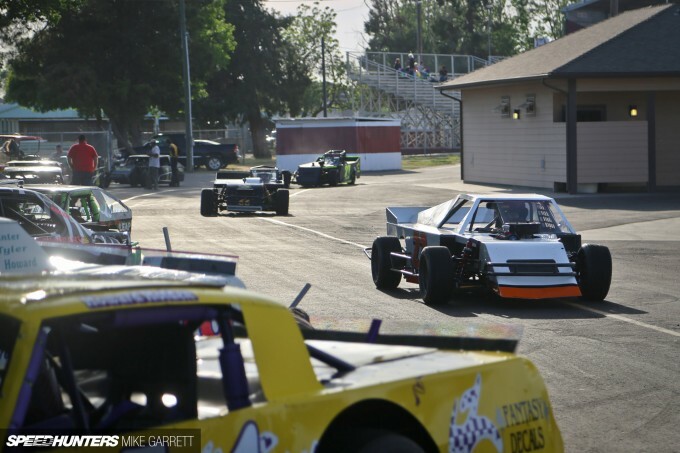 While there wasn’t a large field of Hobby Stock drivers in attendance, the racing was tight with drivers battling side by side for the entirety of the 30-lap main event. One of things I love about stock car racing is how competitive it is. 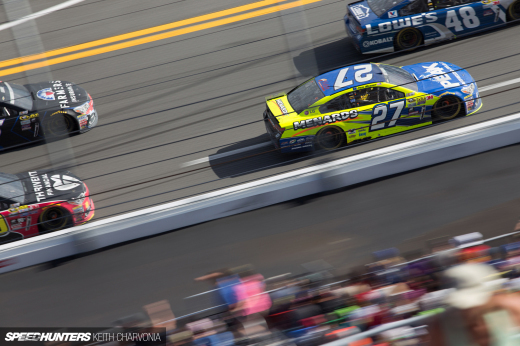 Despite the fact these are weekend warriors in budget race cars rather than professionals, the battles were every bit as exciting as those you’ll find in the best Sprint Cup events. Given this is a grassroots circle track event in the USA, you might expect to hear nothing but the sound of pumped-up V8s. 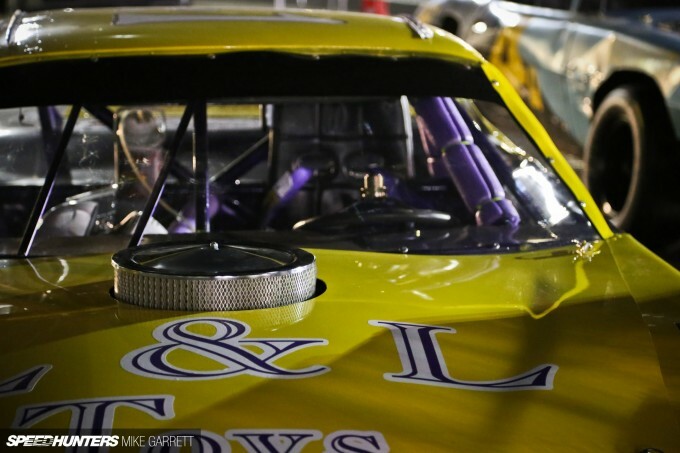 But the truth is, only two of the five race groups featured cars with V8 engines – the aforementioned Late Models and the Hobby Stocks. The other groups? 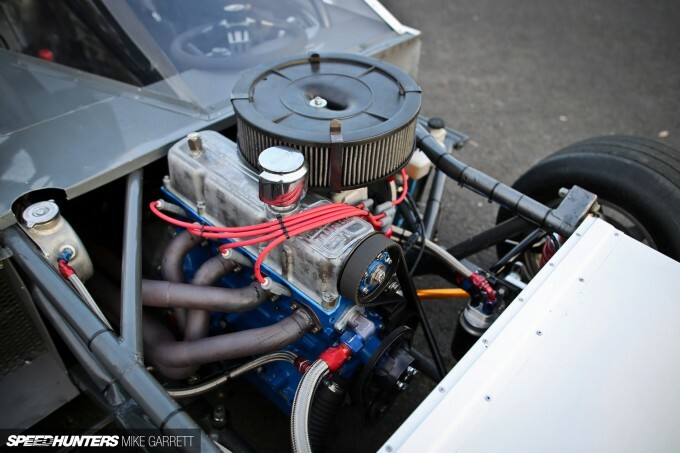 Well, they were all made up of race cars powered by four cylinder engines. 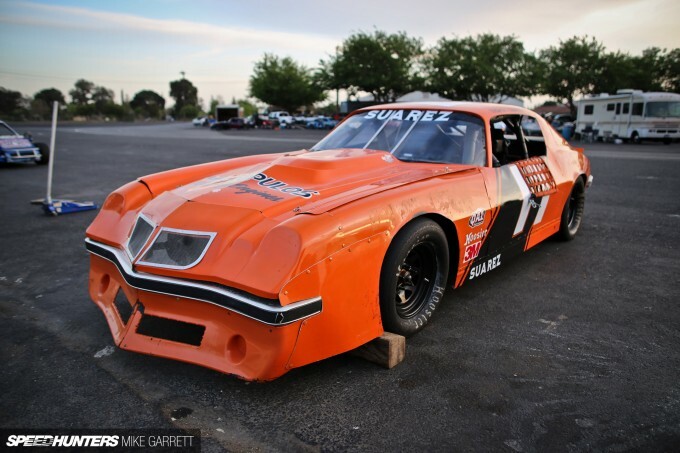 These four-banger machines have been part of the West Coast short track scene for decades. 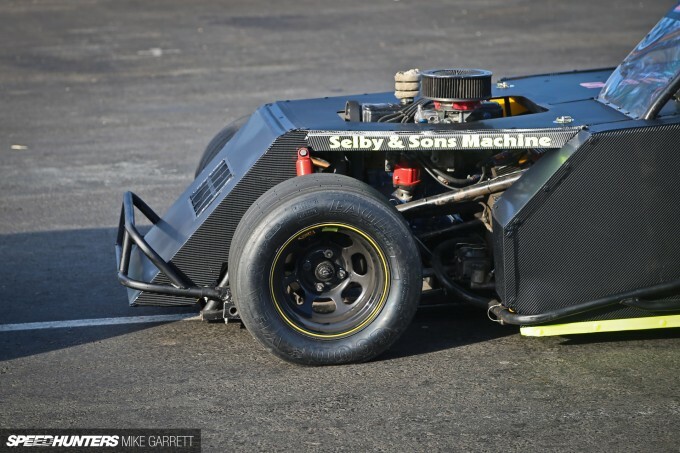 Making an appearance at last weekend’s event was the Northern California Pro-4 Modified series, which opened its 2015 championship with a battle on the Madera 1/3 mile. The cars in this traveling series feature custom-fabricated chassis with varying types of body work, and all are powered with single overhead cam four cylinder engines with single carburetors. While the series rules don’t specify a certain engine brand, most of the cars I took a closer look at seemed to be running Ford Pinto engines. No matter what type of engine a team chooses though, it must be backed to a factory transmission. 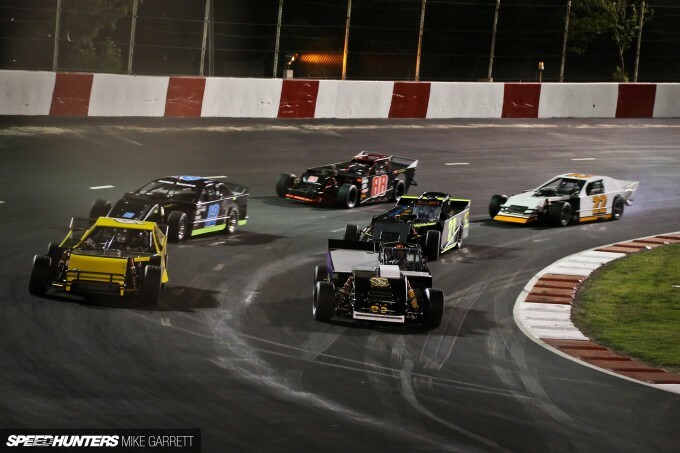 Not only were the Pro-4s a lot faster than their humble little engines would suggest, the 35-lap main event was one of the night’s most exciting races. It was eventually won by a driver named Chris Straka who battled through the field despite having a car that was banged up in the opening laps. 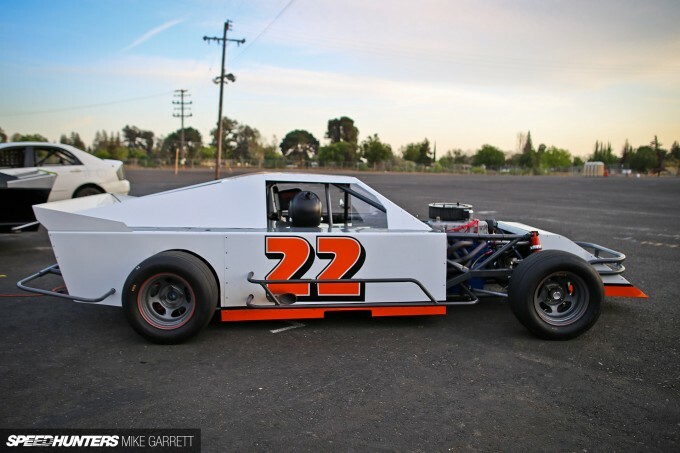 Also joining in the Pro-4s was a local series called the Modified Super Toyotas – one of two local Madera Speedway race classes based on production Toyota models. Despite the unrecognizable look, what you are looking at is actually an E30 chassis Toyota Corolla from the mid ’70s – albeit one that’s been stripped of its original body work. While they don’t look much like Corollas, the MSTs actually are pretty stock underneath, with lightly modified suspension, stock-based engines, factory rear ends and the original brakes. 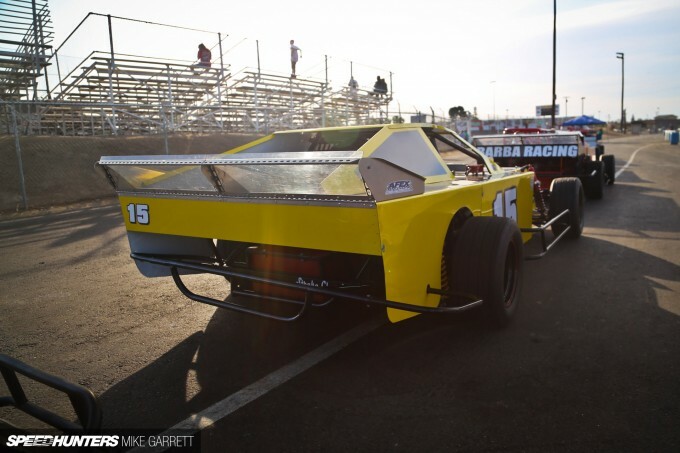 You can think of them as smaller, lighter and cheaper versions of the Modifieds that populate short track events across America. 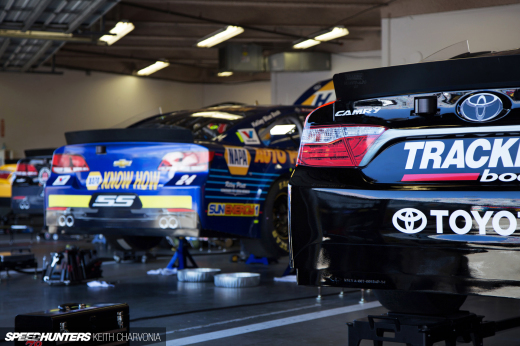 Even with all that, I haven’t got to my favorite part of the Madera Speedway experience yet – the Toyota Sedans. 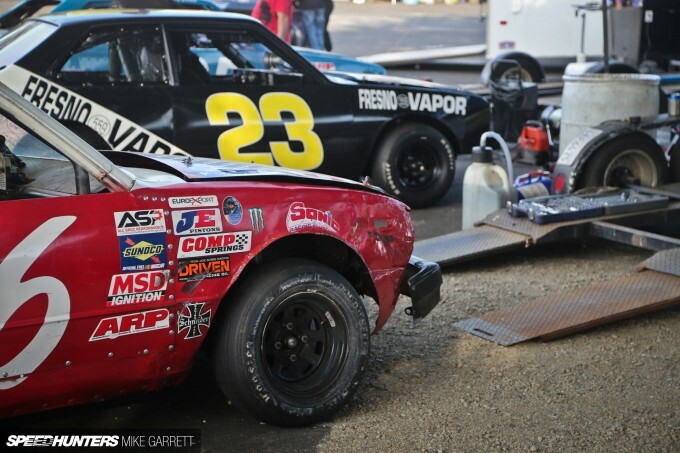 This is essentially a spec stock car series that uses lightly modified E30 Corollas exclusively, and it’s one of the most fun forms of grassroots circle track racing out there. 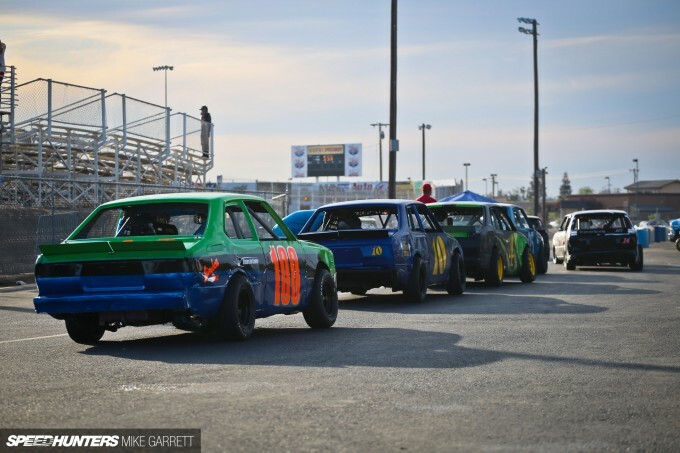 In fact, I find this local Central California tradition of Toyota Sedan racing so interesting that I’ll be dedicating a separate post to it, so look for that very soon. You can say what you’d like about circle track racing, but the truth is, this some of the most exciting motorsport action you’ll find anywhere. Not only is it fun from a spectator’s point of view, I can only imagine the kind of rush that the drivers get out of this. I’ve had the chance to experience a lot of grassroots racing events, including time attack, autocross, drag racing and even drifting. But from a driver’s perspective, if you want to enjoy competitive motorsport on a budget this just might be the way to go. 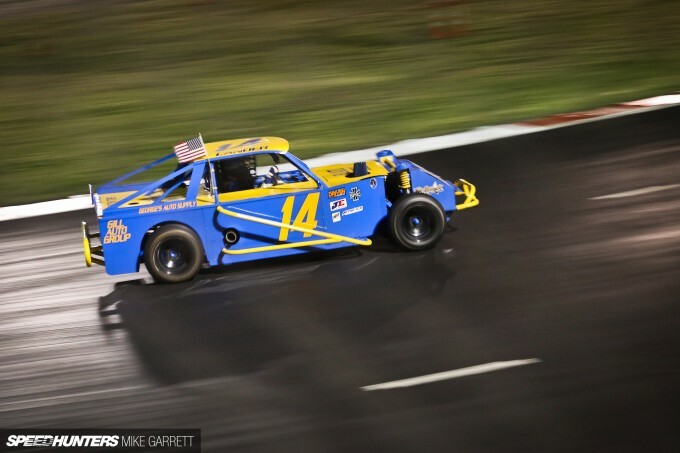 Not only do you get a ton of track time for your investment, the wheel-to-wheel competition makes for an adrenaline rush you might not be able to get in other forms of motorsport. Hell, you don’t even have to wake up early to participate! 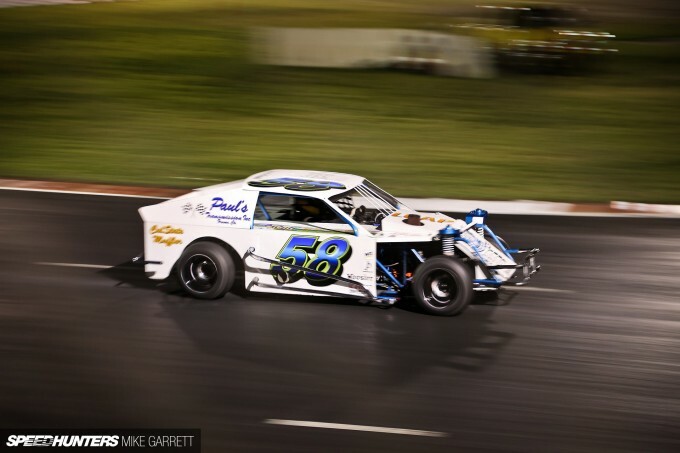 As I stood trackside on Saturday night watching the three-wide action, the beating and banging, the passing and the rush of the checkered flag – all I could think was ‘damn, that looks incredibly fun.’ I was hooked enough to start looking at used race cars for sale online. 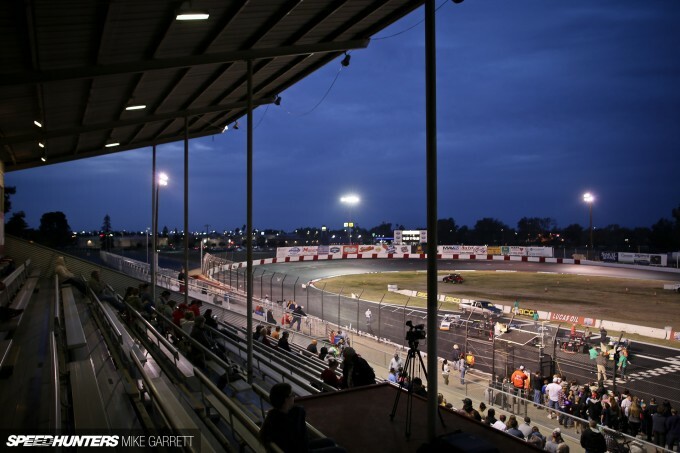 Unfortunately though, the local short track is something that might not be around forever. Lately tracks like this across the country are facing unrelenting pressure from real estate developers, environmentalists and good old economics. 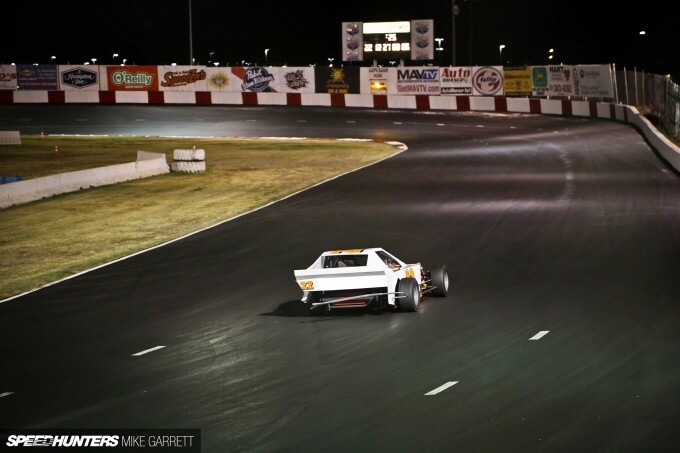 Even the big venues aren’t safe, with the recent news that LA’s iconic Irwindale Speedway will soon be torn down and replaced with a shopping mall. 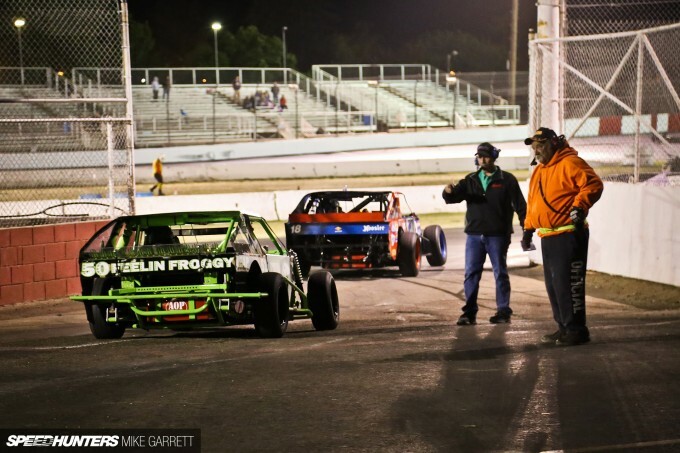 Thankfully though, here in Central California the tradition of Saturday night short track racing is as healthy as ever, and I’m grateful this quintessential part of American motorsports culture can still be regularly experienced. If you are fortunate enough to live in a place where a track like this exists, do yourself a favor and get out there while you still can. You might just fall in love. Whilst racing, were the racers with the body all the way to one side at much of an advantage in the corners? 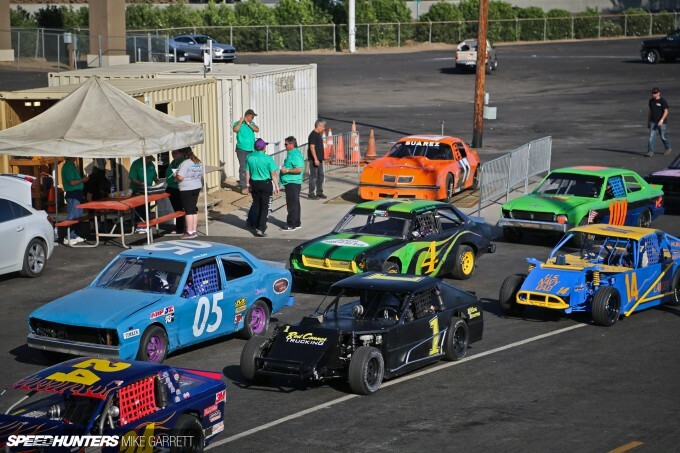 i always used to pass madera speedway on my way from sacramento when i went to uti and fresno where i live now, a couple of people i know are trying to get in there for drifting as they wont allow it at the fresno fairgrounds. JakWhite Think about it a "moment." I went to an event similar to this in while in Show Low, AZ at Thunderbird Raceway (however this was only a quarter mile and on dirt). I can vouch for how fun these type of races are to watch. The racing was action packed and for 10 year old me it was even more fun getting to sit in one. Although the thing that stuck in my mind the most was getting hit square in the chest by a chunk of rubber about the size of a fist while standing right behind the low wall surrounding the track. All the same it was a great fun and definitely something anybody should go to if they have the chance. You guys should get Pedey or Brad along to some Speedway events in NZ!! milkplus JakWhite I understand the science I'm just wandering what kind of cornering speeds they achieve compared to the closest competitive class around the same corner, since the track looks reasonably small I doubt they get to ridiculous speeds, I know they ballast and build nascars in a similar way though they go much quicker, so it probably makes a lot more of a difference. Man that's great! Good coverage!! Thumbs up! As a 1979 KE30 owner I am both thrilled over the use of old Corollas with the E30 chassis and devastated that all these precious gems are being trashed. But great coverage as usual! azmedaj If only it were that easy. I live less than an hour from Eldora Speedway, but I've never been there. Always mean to but just never make it. I used to live near Riverhead Raceway on Long Island. My family has a bit of history in short-track racing. My grandfather ran late-models and modifieds at Islip Speedway, Flemington Raceway, Freeport Stadium, and other tracks in the Mid-Atlantic Region in the 50's and 60's. My uncle (his son) drove late-models in the 80's-early 90's at Riverhead Raceway. I had my first go-around at Riverhead when I was 16 in a division called Enduro. It was basically a controlled demolition derby. 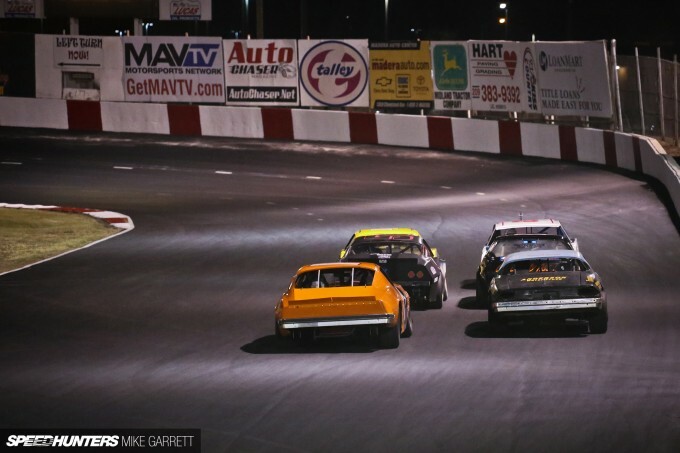 100 stripped-out 70's-80's sedans on a 1/4 mile oval for 100 laps. No caution flags (except for serious incidents). 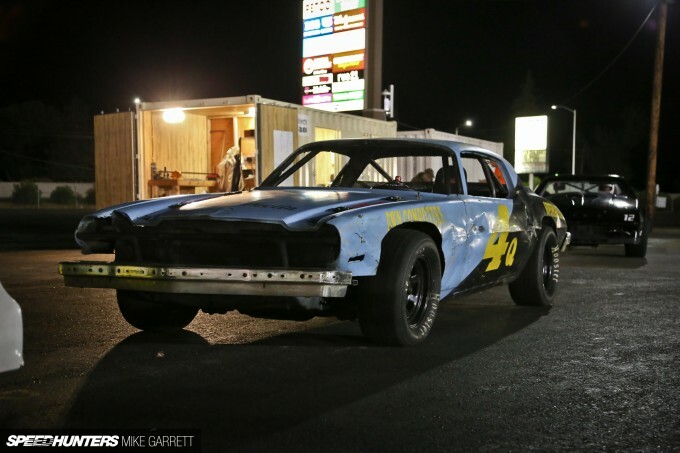 I ran two races in my 1984 Oldsmobile Delta 88. I completed all of 20 laps. My first raced I crashed into an incapacitated car while being pushed from behind. Second race the car threw an alternator belt presumably on the grid and proceeded to die after only 10 laps. So much fun. 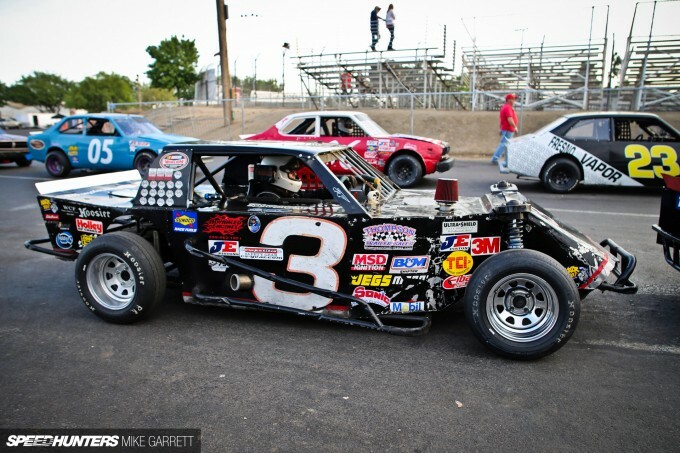 I would really love to get behind the wheel of a proper racecar though. JakWhite milkplus Cup cars are quicker on a much bigger arc so the difference probably isn't that much bigger. Moving the center of gravity over a foot or two on an offset chassis and putting the roll center under it would make a huge difference. 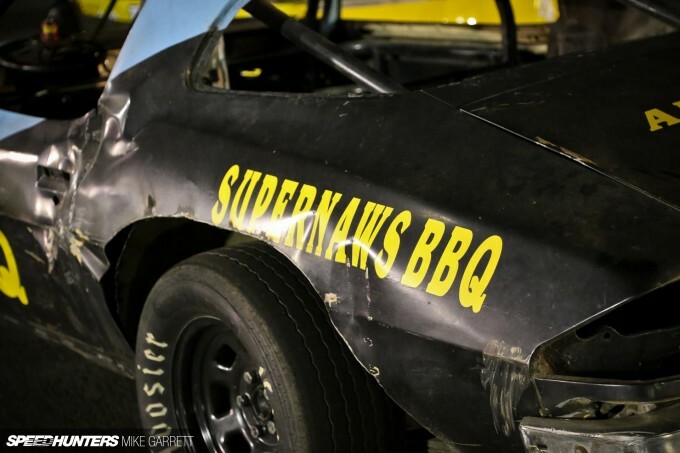 Search for a "Supermodified," my understanding is that those cars turn left better than any other racecar (even with restrictions like being forced to run iron pushrod engines). Awesome story! I can't wait to read more! I'll be sharing with my short track racing friends on Facebook, for sure! I also invite you to visit Jefferson Speedway in Jefferson, Wisconsin, should you ever get the chance. Great work. I see someone else mentioned Eldora in the comments. I didn't go to a modified race there or anything, but I did see NASCAR Camping World Series there last year. Lets just say, 32 trucks on a half mile dirt track is the best time you can have at a track. Eight wide? That's just a normal lap with those guys. I cannot wait for this years event. Awesome post Mike! Love it. Kinda reminds me of the dirt tracks around here. I was fairly dismissive of them before I went. V8 behemoths running 4 wide at a 45 degree drift angle on 3 wheels can change your mind like that. The guy who built my cage does mini-modified and I've gotten to see his cars. They look really fun, nothing like the kind of racing I do. "Disappearing Art"??? I think not. Much like the dirt tracks down south, nothing compares to the dedication of these builders/drivers. kphillips9936 Glad you liked it! buzzboy Yep, fun doesn't even begin to describe it! RobbyChamblee Exactly. Don't knock it until you've seen it! Jonathan Moore Thank you sir! EricSeanDelaney That sounds ridiculously awesome. ScottBrady Sounds like an amazing time. foz I'd like to see that! Jack5149 Fun to watch and fun to drive. Gotta love it! Lowranger97 That would be cool to see! Sweet coverage. Events like are where many are first baptized in vibration by a choir of angry engines. 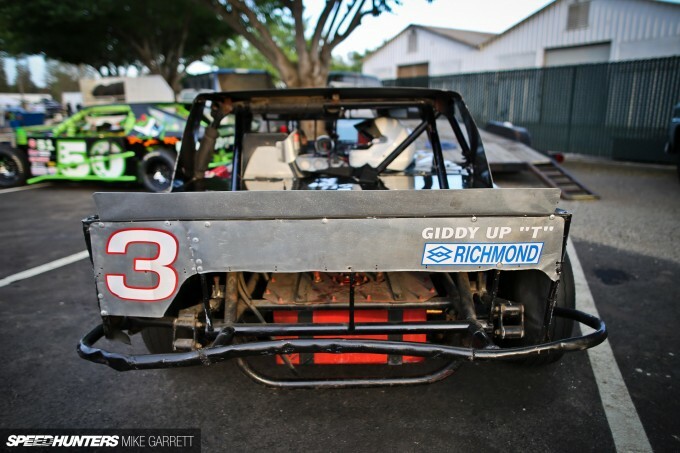 I was curious as you may have been what a Modifieds chassis might do on a road course. Soon after I done saw it at my local scca Glen gathering outpacing 911GT2's and other track specials with a 383 and 2nd hand GT team tires. It and a slightly newer, lighter chassis ended up being my favs of the weekend. They sound like James Hetfield screaming America!! wide open through the long bits. corbintjansen It was a hint as to why some bodies were offset to the left. Nothing more, nothing less. 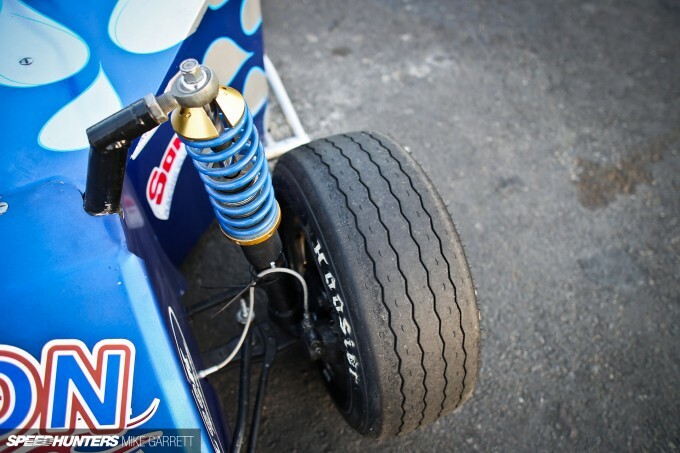 As a long-time circle track racer myself: thank you for this article. JohnCulbert Glad you enjoyed it. RBJKT Mike Garrett Thanks Rob! First time i saw a circuit race similar to this was in New York, two drivers got in a fist fight! Love it. Thank you Mike. While everyone else in the SH team is shooting for bigger and better, you bring us the little things that matter. It's not TAS, SEMA, Formula Drift, or Texas Mile show you the heart of the American car culture, it's in our back yards. Bringing it back to the most basic elements: competition and speed. Without crushing your wallet and soul. Just for the love. Rikard Lagerberg gems? lmao these are junkyard rescues being put to a glorious end to their lives 35 years later! AlexLobanov they usually have events every Saturday night. The best nights to go are the nights they have Modifieds racing. Those guys are super competitive and the close quarters provide some exciting racing. With the pits being outside the track you get to see everything thats going on on-track. Pit passes aren't too expensive IIRC. The pits are usually open after all the races are over anyway. I spent most of my summer weekends at that track spectating. It is so much fun. Since they tore down Flemington Speedway here in NJ I need to find another paved short track nearby to get my fix. I have a friend who races sprint cars I should probably check that too as I've never been to a dirt race. Following milkplus comment . @jakwhite Sprint car and Dirt Late Models also have very offset frames and suspension. While much more radical than these entry level stockers the idea is the same. 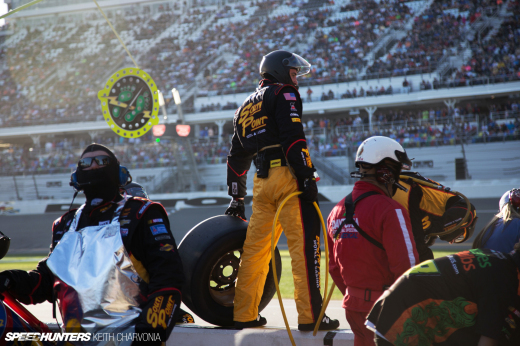 I used to work in the pits for man years as an unpaid crew member(well I got free burgers and knowledge). I also used to race many forms of rc cars when I was younger. Both road course and off road, but the most competitive classes were the dirt and asphalt/carpet oval classes. Now with with general knowledge of working in the pits on real cars I could apply some techniques to my scale counter parts. To sum my little rant up...Just by having offset wheels can greatly effect handle dynamics let alone inches of chassis offset. Even on these slower beasts where it may not seem that effective it actually is what separates the vets from the rookies.